Describe your book to the readers. What is the theme of your book or description? This is a holiday book about the very first Christmas Eve in the stable before Joseph & Mary arrived. What is your publisher Information? For the book and its website Mspencer@thechristmasmouse.com. 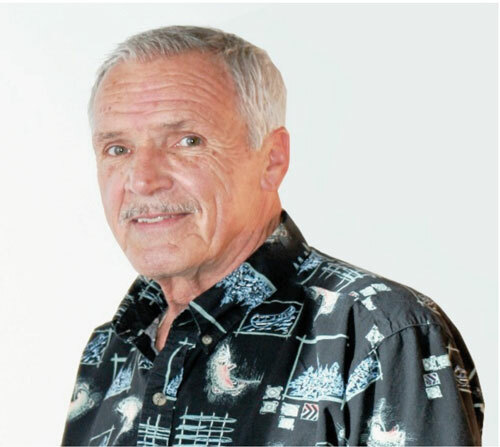 My web address is http://www.thechristmasmouse.com is the book’s website and in it there will be emails and contact forms for writing the author, for writing to Mouse, and for interest in book signings and fundraising for ministries. Where is your book available for purchase? My book is available at Barnes and Noble, Amazon, and Halo Publishing. Thank you for being here on my blogs Mark Spencer over the past few weeks! It has been a joy to get to know you and your work. This is a wonderful book, just in time for Christmas! And I hope that you readers will buy it for your kids. It is a book with a wonderful message and mesmerizing illustrations! I can’t wait to see you next book Mark Spencer! Who Goes There is a story where fear, imagination and a good name comes together all in a very stressful night. We know fear is something that can get to the best of us as well as our imagination. And in this story a good name brings favor for a very good man who needed a little help. This book is also about family love. Which Granny Gray explains in her memories of her childhood. Sometimes love comes with unthinkable home remedies, like cow manure tea, spider webs and soot, catnip tea and a spat of chewed tobacco. 2. Who is the audience for your book? 3. Can you provide us with you publisher information? The publisher is Halo Publishing. 5. What contact information do you want the reader to have about you? 6. Where is it available for purchase? My book is available on Amazon, Barnes and Noble. It is also available everywhere books are sold. 7. Please include anything else that a potential buyer of your book may need. This book is safe for our little ears to hear and little eyes to read. This is a super-cute picture book for kids just in time for Easter. Kids will love to learn more about what Easter really is in this fun and yet serious book. The story is about snowball, a kitten, who wants to know what Easter is. Snowball runs around looking everywhere for Easter. She searches high and low in an egg. But still no luck! Then Snowball sees a beautiful pocket in Hailey’s new Easter dress and she tries to find Easter in it, but instead she rips the pocket. Then Snowball looks in a boiling pot and basket. But still she couldn’t find Easter. So where is Easter? Then one evening she gets her answer while Haley’s father was reading the little white book. Snowball discovered that Easter is a very special time to those who believe in God. God alone can give us life forever and forgiveness. But can Hailey forgive snowball for tearing the pocket on her new Easter dress? This book will inspire kids to read and read this book. 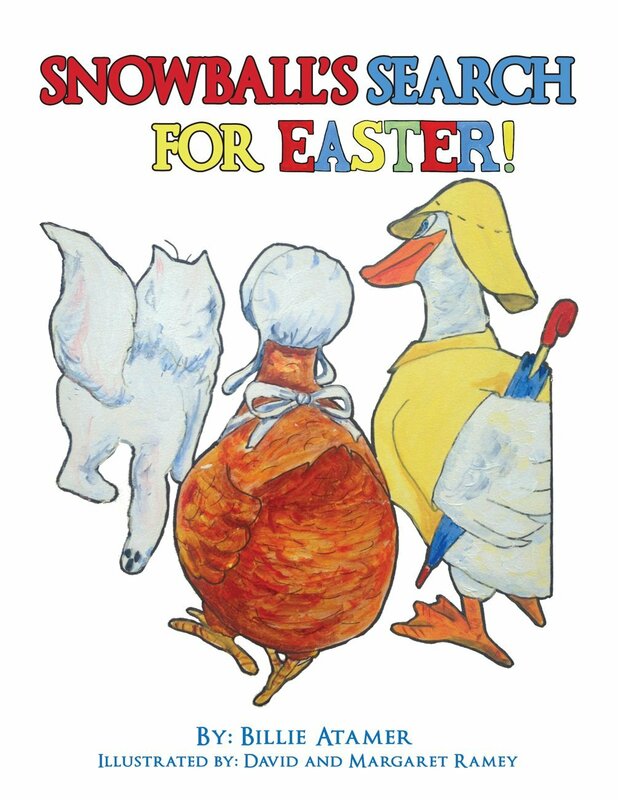 It is a book that will teach kids the real meaning of Easter in a colourful and kid-friendly way. I really loved the book and will be reading it to my friend’s kids before Easter. 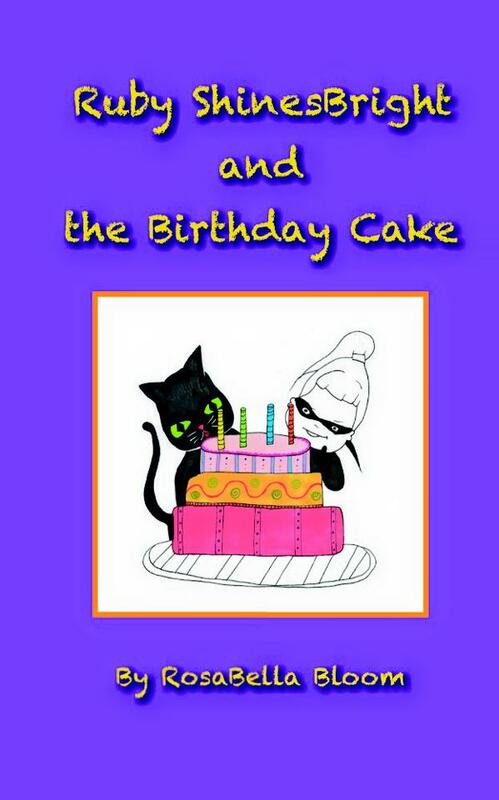 This is a super-cute and humorous picture book for kids 3 to 8. It is a book that is a new and unique take on the Cinderella story which kids have grown to love and admire. 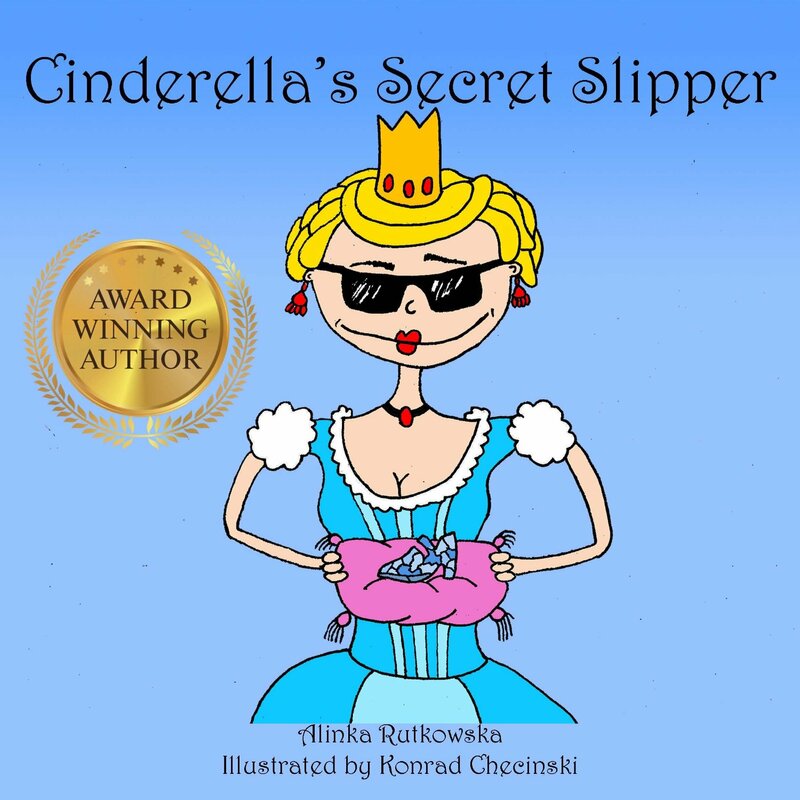 This story is about Cinderella who wants to wear her glass slippers to her son’s birthday party. However, as fate would have it, just before the birthday party, her son sees a mosquito on the wall, and decides to use one of the slipper’s to kill the mosquito. Could Cinderella still wear the glass slippers to her son’s birthday? This book will definitely be read and re-read by kids of all ages. Who doesn’t like a children’s story with a happy ending? The illustrations are bold and bring the message of the book to life for kids. I was entranced by the book, and I will be printing it off for some of my friends with younger children. Anita Rutowska has written over 20 books and she received many awards for her work. She is the winner of the prestigious International Readers’ Favorite Book Award Contest and her book series received the acclaimed Mom’s Choice Award. Go to http://www.alinkarutkowska.com to get another children’s book free! This is a wonderfully adorable picture book about rescuing dogs and finding them forever homes in the most unlikely places. The story opens up with Pupples all alone at the edge of the road. He is scared and hungry. He calls out for help, but no one hears him for a while, until a lady with a sweet, low voice drives out to the side of the road and calls out for him. But Pupples is too scared to come to her. For the next few days, Pupples tried to cross the road. But each time he wasn’t successful. So, he went back to where he was originally saddened and cold. He was also cold, muddy and his coat was full of burrs. He missed his family, and he didn’t even remember where he saw them last. But there was another dog, Sir Buddy. When his Mom came home she was worried. But what was she worried about? He overheard her talking to someone on the phone abut a lost dog. Could he help Mom rescue the lost dog? This is a story that will keep kids reading and re-reading the book. I loved the book and the story line. I have a real soft spot for stray dogs and cats anyways. So, this story really intrigued me, as it will most young readers. The illustrations are also very endearing and will bring the message home for kids. Nutty and his sister Twittles set out to play a fun game of hide “n” seek with their friends. When Twittles is the only one missing, the game quickly changes. 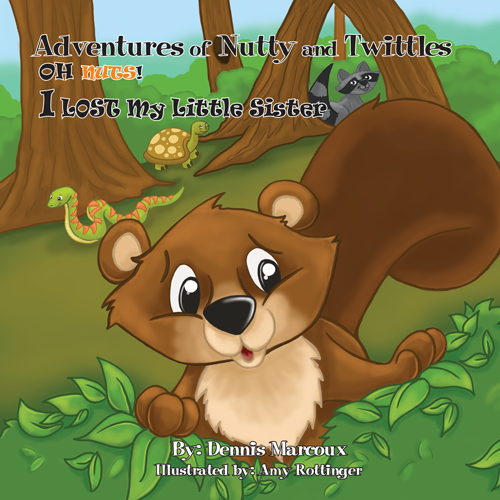 Nutty has to find his sister because she may be lost in the dark and dangerous Forrest. e-Book Available Nook & Kindle.